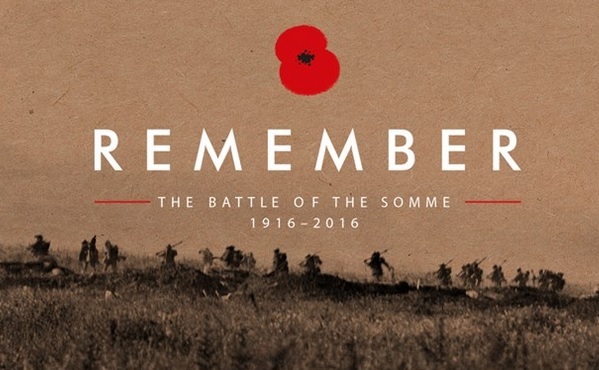 The Battle of the Somme was one of the defining events of the First World War. It began on July 1916 and continued over the following months – a total of 141 days. When it was halted in November, more than 1,000,000 Commonwealth, French and German soldiers had been wounded, captured, or killed. The 100th anniversary provides an opportunity to commemorate the Service and sacrifice of those who lost their lives in the battle, to reflect upon the human cost of conflict and to have hope for a more peaceful world. Staveley Remembers has, so far, identified 18 local men who are known to have died in the offensive and will be posting their details on the annniversary of their deaths. We are also encouraging local schools, community groups and individuals to commemorate the centenary by taking part in the “Living Memory” project to care for the war graves in Staveley cemetery.